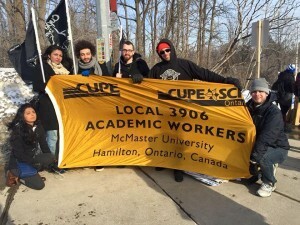 Over the past week, academic workers of CUPE 3902 (University of Toronto) and CUPE 3903 (York University) have gone out on strike to demand better funding packages for teaching assistants, long-term job security for contract faculty, and justice for international graduate students. The issues they are fighting on their campuses are the same that we face here at McMaster due to a systematically underfunded post-secondary system in Ontario, and that is why the CUPE 3906 Executive Committee has made it a priority to support our sister locals in their struggles for a fair and just collective agreement. For more information, you can read our letters of solidarity to CUPE 3902 and to CUPE 3903. 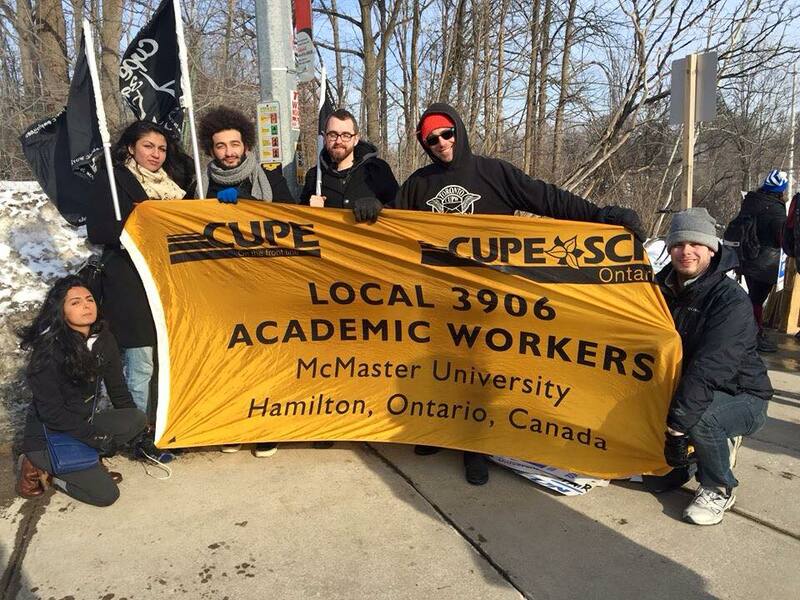 Ryan Sparrow (VP External) and Kevin Barnhorst (Chief Steward Unit 1) on the picket lines at the University of Toronto – Mississauga. 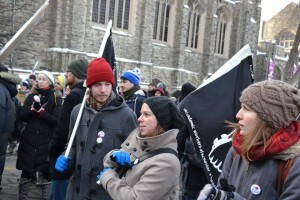 Evan Johnston (Vice President) and Rebecca Collins-Nelsen (President) at the University of Toronto (St. George campus).